American singer Lizz Wright’s heart-stopping voice has covered jazz, rootsy folk, gospel and original songs in her previous four albums. Her last was in 2010, so this new one is eagerly awaited, and draws on all these elements. She has co-written songs for this CD with a number of seasoned songwriters, but the most compelling track is an arrangement of Nick Drake’s River Man, with its mysterious lyrics and uneasy major/minor shifts. It’s the jazziest on the album, with its ethereal trumpet solo (Till Brönner) and gentle vocals heard through a veil of Hammond.Right Where You Are is an irresistible duet with Gregory Porter in 6/8, the simple instrumentation leaving space for the voices to intertwine, harmonise and improvise together- the voices sound made for each other. Some tracks have a singer-songwriter feel, such as Somewhere Down the Mystic with its silvery guitars and soft layers of sound. The moving, autobiographical lyrics are about being rescued from a car crash. Real Life Painting (co-written with Maia Sharp) has a strong melody that draws you back, and delicate drumming. Mostly the instruments are there to frame the voice rather than take solos. Here and Now has keyboard fills tumbling between the pure vocal lines.The Game and Lean In are co-written with Jesse Harris (famous for his compositions on Norah Jones’ first album.) It has an earthy feel, more like Wright’s Dreaming Wide Awake album. The voice is surprisingly deep and utterly unforced, the melody rising poignantly as the chords descend. Several songs have a strong gospel influence (Wright started out singing in the church). The Bee Gees’ To Love Somebody has a fine 6/8 bluesy punch, pulling the lead vocal against the backing vocals and Hammond whorls. In Blessed and the Brave, the backing vocals act like instrumental chords, as guitar and Hammond echo the vocal riffs over the restless bass line. Surrender concludes the album with a gospel choir and huge drum sound. Larry Klein has co-written five songs along with David Batteau and Wright, and produced the album. Sometimes there’s the ghost of his production of Joni Mitchell’s 80s recordings, with the huge echoing backbeats on the snare, and the vocal reverb (as in The New Game.) 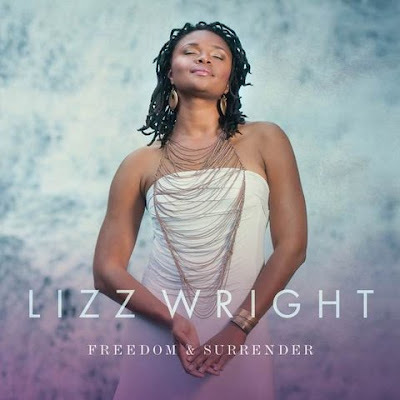 The funky Freedom allows Wright to explore the power in her voice, as she addresses freedom itself: ‘Call again and I’ll answer.’ Lizz Wright must have one of the most beautiful voices in existence in any genre, and no-one who has heard her ‘Sing the Truth’ gigs with Dianne Reeves and Angelique Kidjo could deny its power. But to these ears, the voice seems to be fighting the rock production on a few tracks: The New Game, Lean In, You.